Robots in the field of surgery are not particularly new. 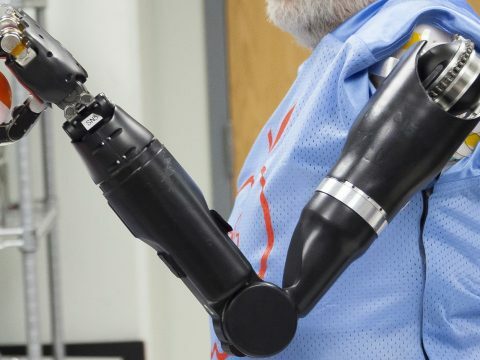 Robotic arms, for example, help physicians with routine tasks such as positioning of the leg of a patient when performing hip replacement surgery. But what about open surgeries, the ones that require larger incisions and are, therefore, more complicated? Or what if robots could operate autonomously instead of functioning as mere marionettes with surgeons pulling the strings remotely? These are exactly the kinds of surgeries that Cambridge, MA, startup XSurgical is hoping to perform with its next generation of robots. Currently, the solution that XSurgical is working on is a remote-controlled robot that can perform even delicate facial surgeries guided by a surgeon offsite. But future iterations of XSurgical’s robotic system will also offer fully autonomous versions that can perform such surgeries on their own, leaning on a vast bank of artificial intelligence (AI) and machine learning algorithms at its core. But before we get there, we need a robust infrastructure groundwork for such surgeries to be conducted efficiently and accurately. XSurgical CEO Dr. Gianluca De Novi says that professionals need to pay attention to the fact that a high-bandwidth connection necessary for effective telerobotic surgery might not always be available. Consider, for example, war zones in remote areas of the world, where access to high-quality surgical care is inconsistent at best. More often than not, the wounded are stabilized on field and transported offsite for more extensive surgeries. The challenge, says De Novi, lies in timing. Since the first few hours often make a critical difference in surgery outcomes, it is important to receive care during that window. In this case, relying on the availability of a robust connection for remote surgical guidance may not be a wise proposition. But De Novi has an effective workaround for such latency, or a delay between signal and reaction time: AI. “It’s possible to integrate some AI into the pipeline. …We have been working on surgical gesture recognition for the past few years to recognize very specific patterns and understand the kinds of procedures that are being done so that the system can predict the next step accurately,” he says. In essence, by studying the surgeon’s gestures, the robotic system can proactively position itself for what comes next. The AI fills in the latency gaps by leaning on internal algorithms, trained on real surgical cases, to correctly guess the next sequence in the surgical procedure. De Novi, an instructor at Harvard Medical School and director of the medical device and simulation laboratory at Massachusetts General Hospital in Boston, points out that the kinds of open surgeries on the battlefield that XSurgical will work on will not be done under extreme time pressure: the patient will be stabilized first and then operated on. Medical procedures, including surgeries conducted remotely, fall under the purview of telemedicine, an increasingly booming segment of healthcare forecasted to exceed $130.5 billion by 2025. Yet, as the market for robots in surgery expands, questions about mistakes and efficacy have surfaced. For example, the da Vinci surgical system, developed by Silicon Valley company Intuitive Surgical, has been blamed for surgery complications and has had legal action taken against it. De Novi is keenly aware of the high stakes involved in this research. “First of all, it’s possible to instruct the AI not on human patients but on cadavers,” he says. Equally important to realize, is that human surgeons make errors, too. De Novi believes that the best AI for surgery will be as good or better than the best surgeons in a few years’ time. In critical environments—such as the war trenches—he points out, a choice must be made between no treatment at all, and one that delivers a good outcome. Military applications don’t always need FDA approval although they do have to undergo extensive institutional review. XSurgical’s concepts have already won strong reviews from experts of the U.S. Department of Defense. 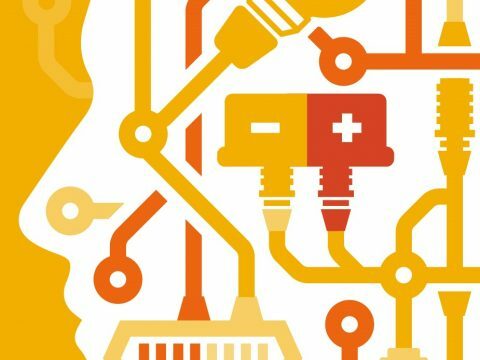 The technology in robotic surgery is moving toward a tipping point. “In this moment, a human being would drive better than an [autonomous] car, but in the next decade, cars will drive better than human beings,” De Novi says, and extending that analogy to surgery is natural. The first step toward full autonomy is a teleoperated robot with some degree of assistance from AI. Corindus, too, is hoping to move toward the treatment of stroke victims. Doug Teany, COO at Corindus, points out that their studies have shown remote robotics will positively impact several key metrics in the area. For one thing, Teany predicts that patients will be treated 30 to 40 percent faster. This could make a significant dent in healthcare costs given that strokes cost the U.S. about $34 billion annually. “The goal is to one day have a system that can autonomously provide the best-in-class procedures for surgery. That would be a dream come true,” De Novi says. That future, it seems, may not be too far away. 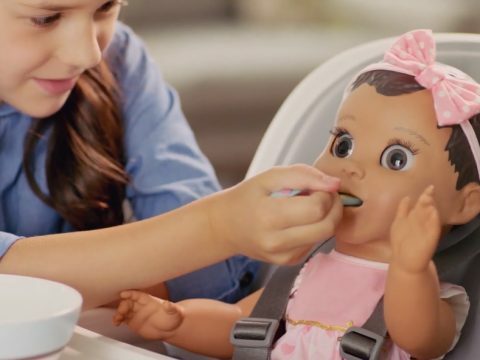 Using AI and robotics, Spin Master — the children’s entertainment company behind Hatchimals — has brought the traditional baby doll to life with Luvabella.